Shatir Novel Shahenshah Series 10 Authored By M.A Rahat. This novel contains a beautiful social criminal, investigation and Jurm o Saza story in Urdu language. 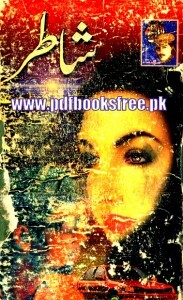 Urdu novel “Shatirr” is now available on Pakistan virtual library for online or download in high quality pdf document. Check out the following links to read online or download the complete novel in pdf format to enjoy offline reading. thank u very much for providing such an excellent collection of urdu novel and books. The novel “Shatir” by MA Rahat is not being downloaded. Plz help. Dear Abdul Hafeez, thanks for your visit and comments. Download links to Shatir novel has been updated. You may now download please.